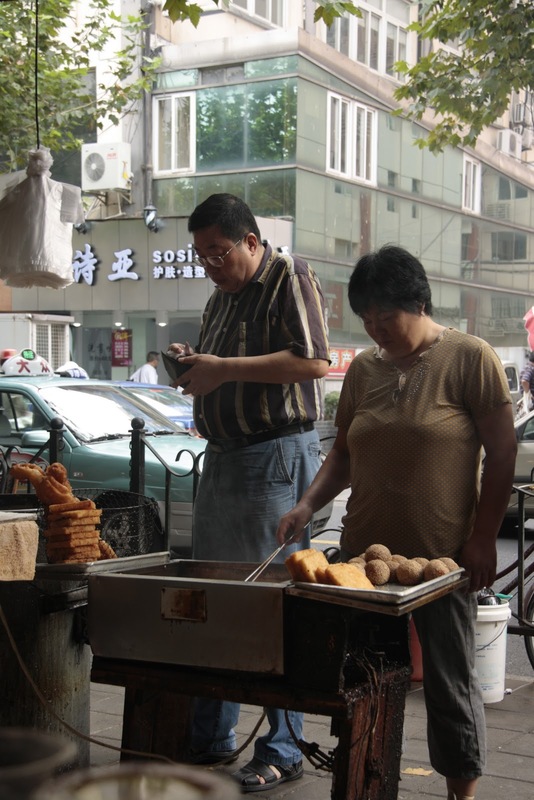 Today we meet The Breakfast Vendors at Number 296 Wulumuqi Lu. 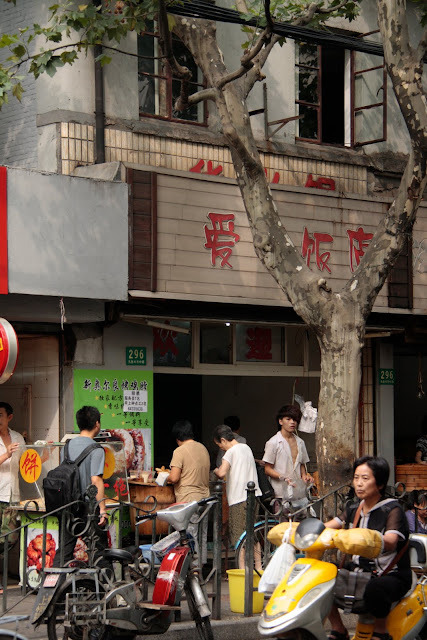 This tiny street front restaurant dishes out hundreds and hundreds of breakfasts every single day of the year. 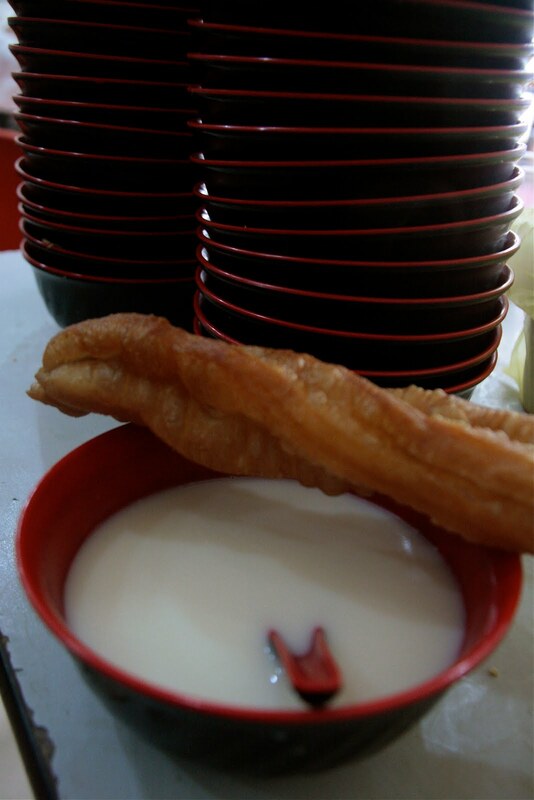 Eat-in, take-away, their stock in trade is yóu tiáo, deep-fried bread sticks, although they also do deep-fried slabs of tofu, deep fried sesame balls, and char-grilled flatbreads. If you're eating in, just pick up your bread of choice on the way in, put it in a plastic basket, grab a bowl and spoon and get filled up. The two choices to fill your bowl are hot sweet soy milk (just dunk your yóu tiáo in, tear off a piece, dunk again) or savory soy milk. To the savory version add chopped scallions, chopped pickled greens, chopped bread chunks, and optional chili. Something like a breakfast soup. Sit elbow-to-elbow with the locals, facing out towards the street, and watch the passing parade of morning traffic as you slurp away.